Sometimes the world is kind enough to give you a second chance to live the life you’ve always wanted…but only if you’re brave enough to take the chance. The year is 1861, a time when women are expected to be married by a certain age. For that reason, 26-year-old spinster Emily Wainwright has no reason to believe her sheltered life in Springfield, Illinois will ever change – until the charming Samuel Todd unexpectedly crosses her path. Samuel yearns to homestead and start a family in Oregon, but to do so, he first needs to find a wife. Blinded by Samuel’s good looks, and grasping at her final chance to have a husband and children, Emily accepts his marriage proposal. However, Emily soon learns that Samuel is not the man she thought he was, and her marriage becomes a prison of coldness and cruelty, offering her no solace amidst the hardships of rural farm life. When Samuel dies and a second chance at love and happiness arrives in the form of farmhand Cole Walker, Emily must overcome her bitter past—or risk losing Cole and the life she has always dreamed of having. 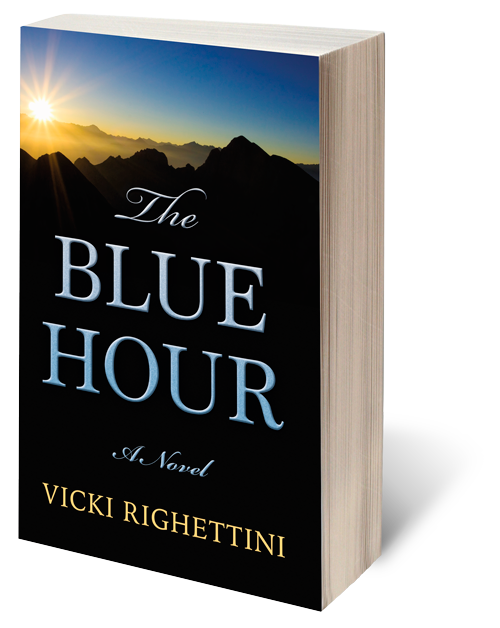 An epic tale of love, loss, and redemption, The Blue Hour traces one woman’s struggle to survive in the wilds of 1860s Oregon, as she simultaneously navigates the hidden wilderness of the human heart.